This little antique disc style pin cushion is in the form of a leaf. 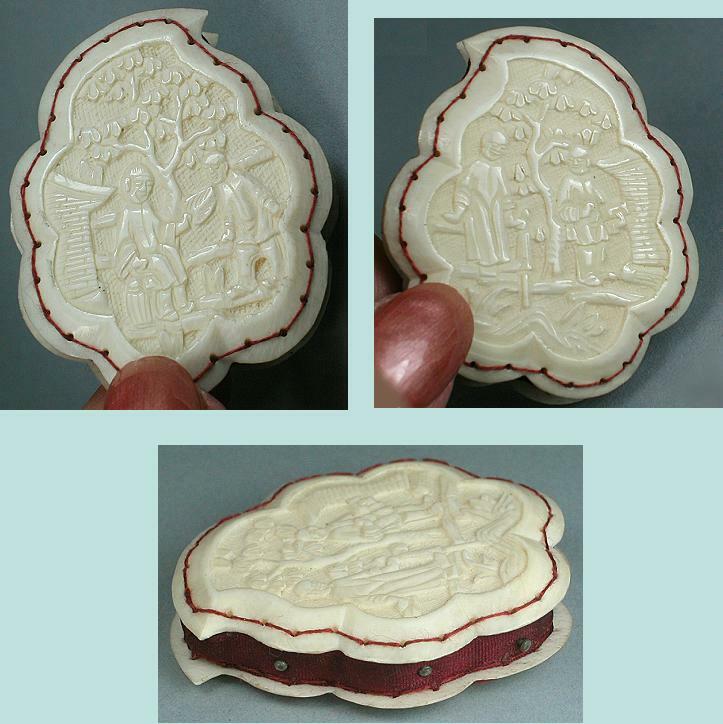 It's made of real ivory and the sides are carved in the Canton style showing people, buildings and landscape designs (different on each side). It has a beautiful old patina and grain pattern and was made in China for British import. The cushion is wine red silk and is intact and in great condition. It measures 2" by almost 1 3/4" and has some old steel pins. 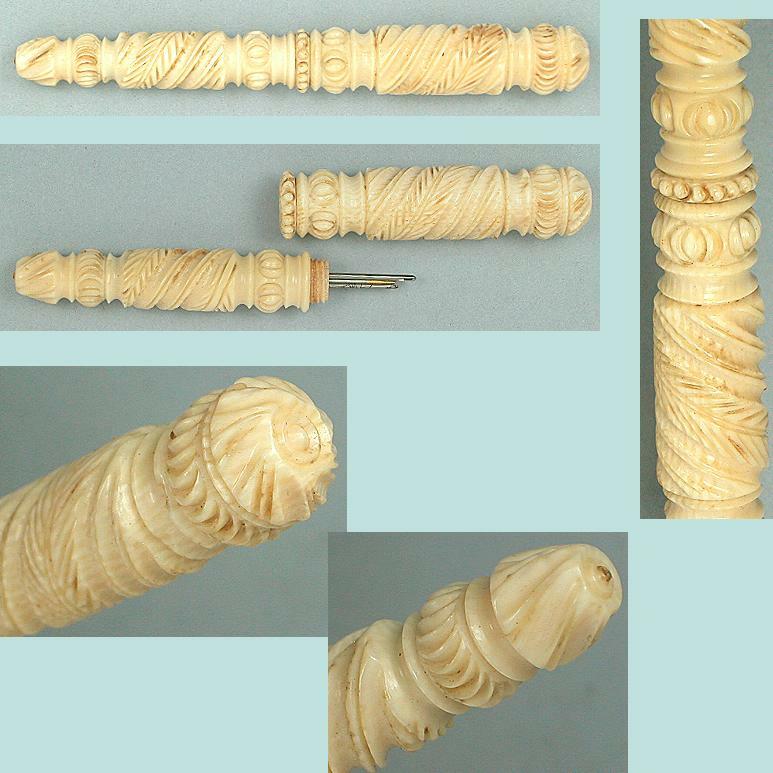 The ivory is also in excellent condition with no chips, cracks or other damage. Several needlework pieces of this style and age are shown on p. 84 of Nerylla Taunton's book Antique Needlework Tools.